Candidates are considered annually for the Walker Award to recognize the author(s) of the technical article judged to be the best published in PHALANX, The Magazine of Military Operations Research, during the previous calendar year. The Walker Award is an annual award. Persons considered to be deserving candidates for the Walker Award should be evaluated by the purpose, criteria for eligibility, and candidate award procedures that follow. 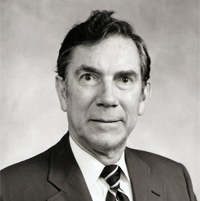 To establish a memorial to John K. Walker, Jr., a respected colleague, PHALANX Editor for twelve years and PHALANX Editor Emeritus for seven years, who by his long-term involvement with the Military Operations Research Society gave so much of enduring value to the military operations research community. To give evidence of the belief of the Military Operations Research Society that operations research represents people who apply scientific method to build quantitative models, manipulate data, evaluate results and who publish these result in a suitable form in PHALANX, a forum to the broader community. To emphasize that PHALANX, the Magazine of Military Operations Research, promotes communication among practitioners of military operations research that are timely, important, and interesting to the PHALANX audience. We will identify and recognize members of our profession who have expanded the application of military operations research techniques, improved their set of analytical tools, communicated the results of their work to the broader analytic community by publishing an article in PHALANX. Individuals must have published a technical article in PHALANX during the previous calendar year whose content is judged to be timely, interesting and important to the PHALANX audience. Each published article will be judged on the basis of its ability to communicate to the military operations research community the ideas of the author(s) clearly, concisely, and unambiguously. Current Sponsors, members of the Board of Directors, members of the PHALANX editorial staff including PHALANX Department Editors, members of the editorial staff of Military Operations Research Journal including MOR Associate Editors, and members of the Publications Committee are not eligible for the Walker Award.